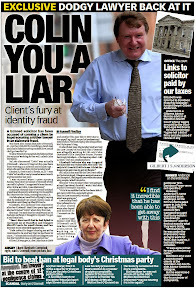 One of the more difficult articles for me to write, as this relates to a lawyer, Michael G Robson, who handled the case of the death of my mother at Borders General Hospital, and lied about what he was doing with regard to pursuing a medical negligence action against the Hospital. 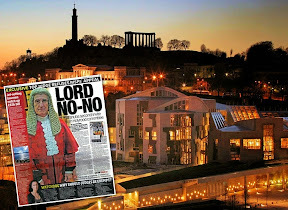 Michael G Robson, formerly of Robsons WS, Ratho, had many a famous client who had problems with the legal profession. 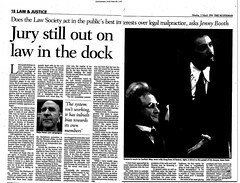 Iain McIntyre for one, was a client of Mr Robson, who tried to sue his lawyers for negligence, but was blocked from doing so by the then Secretary of the Law Society, Kenneth Pritchard, and his successor, Douglas Mill. 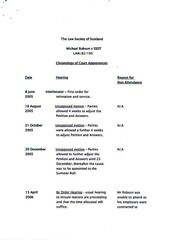 I was but another of those clients Mr Robson happily took on, with an assurance that work would be undertaken, and cases brought to court, among them, an attempt to do something about crooked accountant Norman Howitt & ICAS, an action for Judicial Review against the Law Society of Scotland in their handling of the Penman complaint & their treatment of further complaints filed against other legal firms, and of course, the case of the death of my mother at Borders General Hospital, from medical negligence. 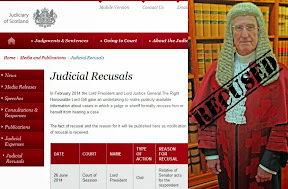 In the end, Mr Robson did nothing on any of my cases, nor it seems did he do much, if anything for any of his other client, and ended up before the Law Society over several complaints from clients, including some from myself, over lack of action on cases and failure to correspond or take instructions. 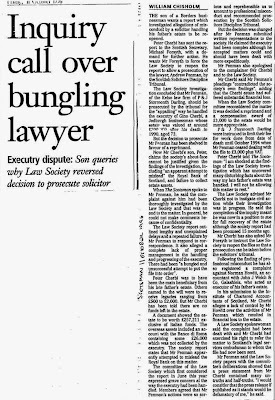 It took the Law Society long enough to do something about it ... they wrote some 90 or so letters to him at his Ratho office, a situation which went on for almost a year. 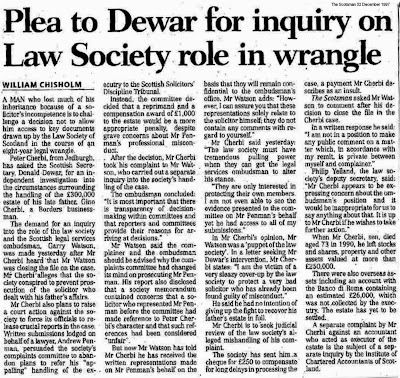 Odd, perhaps, that no one from the Law Society thought to drive a few miles to his office and see what was going on. 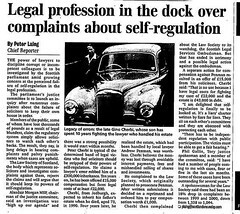 Law Society officials were however, content to play the situation out for as long as possible, so all of Mr Robson's clients cases might just fall into time bar, thus preventing anyone from being able to claim compensation against the solicitors negligence insurance. 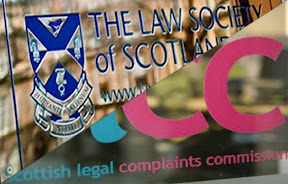 The Law Society, very craftily handled the client complaints against Mr Robson, finding in the main for a poor standard of service & conduct, and recommending prosecution before the Scottish Solicitors Discipline Tribunal for a number of those 'offences'. 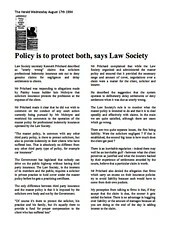 However due to the possibility of clients proceeding with negligence claims against Mr Robson for his conduct and citing the Law Society investigation and findings, the Law Society made & pressed charges of their own rather than refer too much to the way Mr Robson had treated his clients, in an effort to stall any negligence claims against Mr Robson which would ultimately have to be paid from the Master Insurance Policy - the solicitors professional indemnity insurance for negligence run by the Law Society of Scotland and Marsh UK - which has seen it's own share of corruption allegations. 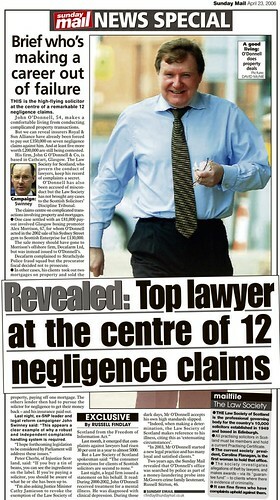 Mr Robson was duly found guilty and the rest was covered in the media. 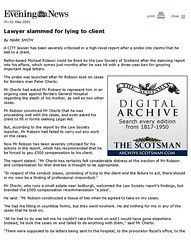 Mr Robson however, did challenge the SSDT, which was reflected in newspaper reports, and a case which goes on yet to this day, delayed on many occasions of being off to tennis matches or meetings .. how the Court and it's judges sat back and allowed that is anyone's guess, but a good indicator came from a source at the Law Society of Scotland, who claims the intention of the delays is to make my case and any other claim against Mr Robson fall into time bar - the usual practice from the legal profession then. 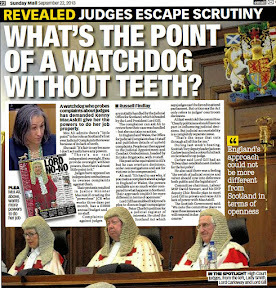 Such was the complication of the case, and the worry of the Scottish Legal Services Ombudsman there may be a 'conflict of interest', my request for an investigation into the way the Law Society dealt with the Robson case was passed to the English Legal Services Ombudsman, who have had to sit on the sidelines and await a ruling from the court before taking up their investigation over 3 years since they were contacted to do it. 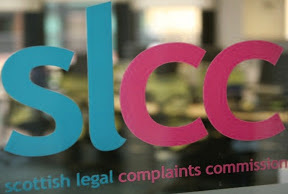 The Law Society of Scotland's Director of Regulation, Mr Philip Yelland, known to many clients who complain to the Law Society, wrote recently to the Legal Services Ombudsman's office in England, with as useless an explanation as ever, claiming the Law Society was 'powerless' to do anything while Mr Robson pursued the appeal against the Scottish Solicitors Discipline Tribunal. 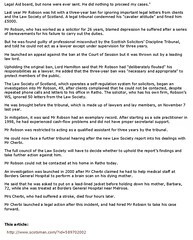 "Mr Robson was unable to attend as his employers were contracted to provide his services as a LTA tennis coach to West Lothian Council." "Mr Robson had a tennis training course in the North of England from 15th - 17th May." 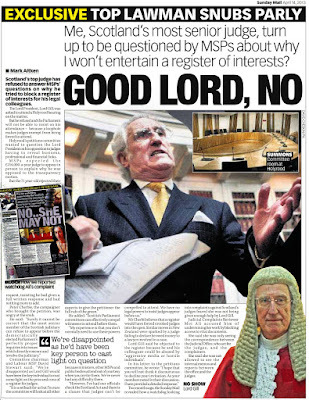 "Mr Robson was unable to attend this hearing as he was attending a tennis leaders course. 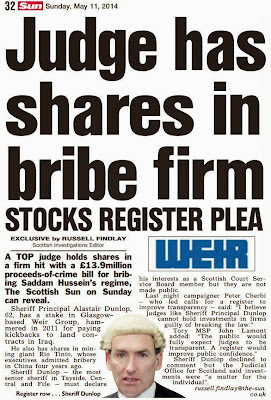 It was the first course to be run in Scotland and he had been committed since June." 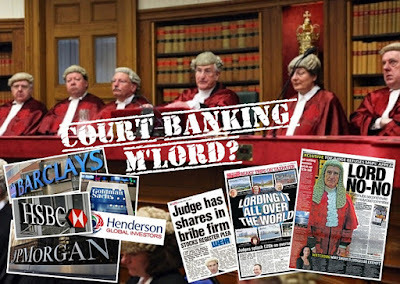 What where the Judges thinking of allowing Mr Robson to treat the court like that, amid the ruin and harm he had caused his clients ?. 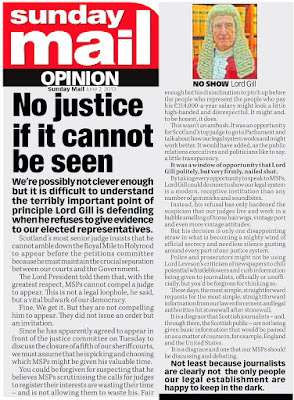 Being slightly fed up with the way I was being treated, by the Law Society, the Court of Session, Mr Robson et all, I let slip the information, and at the weekend, the Sunday Mail featured the story. 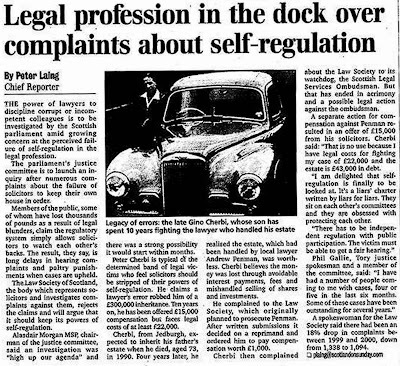 Surely all this is a good example of why lawyers cannot be allowed to regulate themselves. 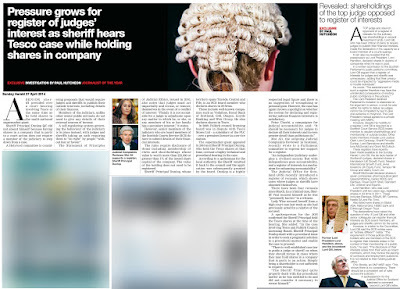 Only fully independent regulation of the legal profession, will bring a measure of accountability & transparency to the way lawyers handle cases for their clients, and how complaints are handled when inevitably it seems, lawyers undertake very poor legal service. 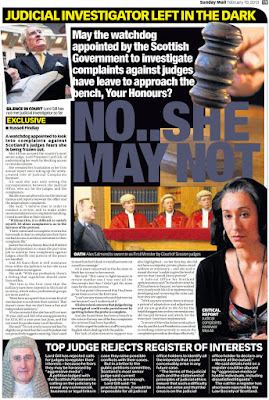 A SHAMED lawyer missed a string of dates to defend himself against complaints - because he was too busy playing tennis. 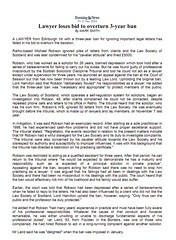 Michael Robson gave the crazy excuse to Scotland's highest court after appealing against a punishment for ignoring clients' wishes. 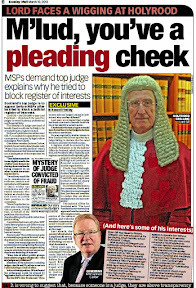 He was disciplined by legal watchdogs in 2005 but the ruling remained secret because he appealed to the Court of Session. 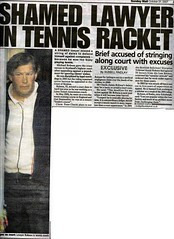 Robson, 55, missed a court date in April last year as he was working as a Lawn Tennis Association coach. In May 2006, he went on a two-day tennis training course in England and that September he was at a tennis "leaders course". 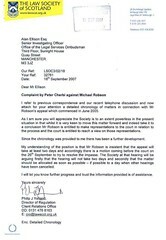 Client Peter Cherbi plans to sue Robson for failing to act in a medical negligence claim over the death of his mother in 2000. 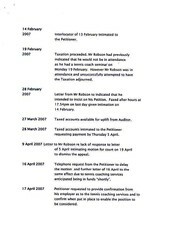 Mr Cherbi claims Robson's delays may be a tactic to avoid a court case. 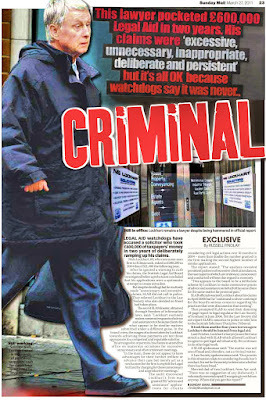 He said: "The deadline for my action against Mr Robson is next year when it will become time barred. "I suspect he is cynically playing for time. 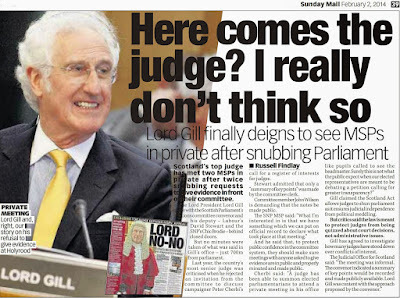 It is extraordinary judges should accept a tennis match is more important than a court appearance." 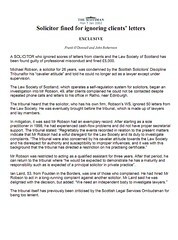 In 2001 the Scottish Solicitors' Discipline Tribunal found Robson had ignored 50 letters from the Law Society, criticised his "cavalier attitude" and ordered that he work under supervision for three years. 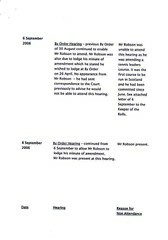 In 2002 he was struck off but that was reduced to five-years of supervision on appeal. 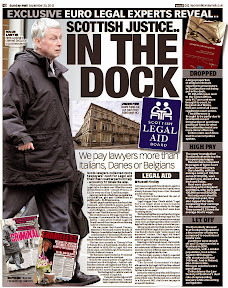 He is banned from working as a solicitor as result of the 2005 ruling. 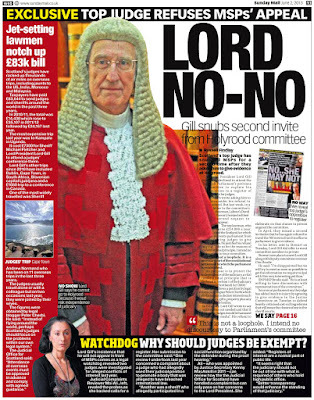 When we called Robson, of Ratho, Edinburgh, he said he would phone back but failed to do so. 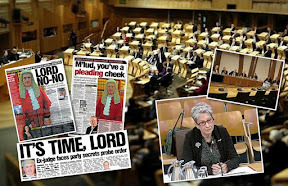 If there's one common constant in politics or law, its the policy that if one fails, one has to lie to cover it up, and no amount of lies can be spared to cover it up, engaging anyone, ones colleagues, whole departments, even a few politicians, to sweep things under the carpet. You don't need me to tell you that - you already know it. 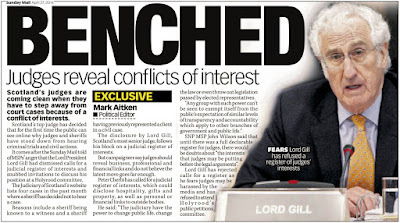 Politics & Law go hand in hand, in each other's pockets, often with the same individuals appearing in both, lying for both, sometimes challenging the other, but inevitably pursuing their own ends, which more often than not conflict with the public interest. 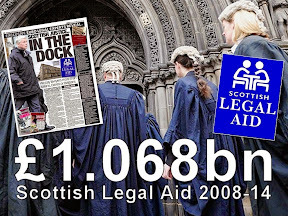 We live in Scotland, a country which aspires to be more than it is, as any country does. A country which professes to be honest, but sadly is not. 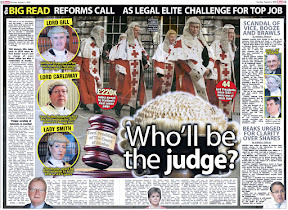 A country which claims to have an honest accountable justice system, but does not. A country which constantly tells us we are treated better than anyone else with rights, freedoms & values which many would die for .. but when we need those rights, freedoms or values, they are simply ... not there. 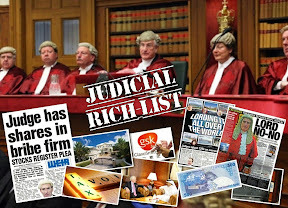 Our First Minister, Alex Salmond, wants Scotland to have a place at the UN, but we have a justice system worthy of a banana republic. We can't even look after our own people, nevermind poke our nose into what anyone else is doing or touting high standards of living when we don't have them ourselves. 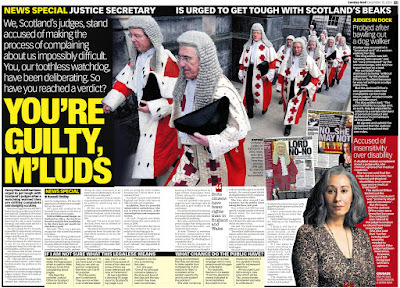 Okay .. ask for representation at the UN, Mr Salmond, but clean up our act first before you do so, because simply, we are not yet worthy if we have no justice in our land. 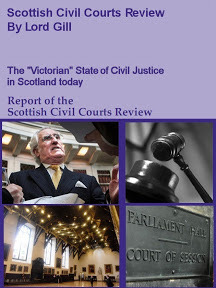 While we can't even treat the living well enough, Scotland's justice system treats the dead even worse, and that common constant between politics & law comes back to haunt us yet again, as the Crown Office, and even Police, wriggle their way out of providing decent investigations into suspicious deaths, claiming they did their best, when they did nothing, or actually made it worse. 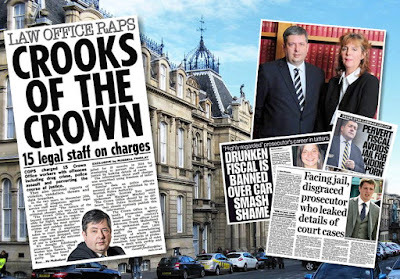 As far as the Crown Office is concerned, when it is caught out in an investigation, or found to have failed in carrying out a proper investigation, lies and cover up is the order of the day. 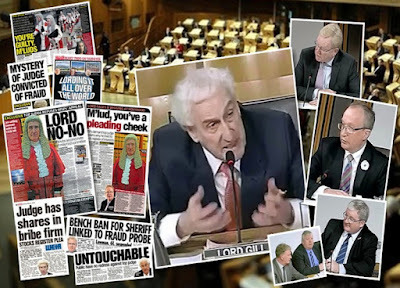 Even when a life is taken, lies still reign supreme in Scotland's prosecution service, and it seems, certain sections of the Police who would rather cover up their failures than broadcast them for all to see. Mr MacAskill ? 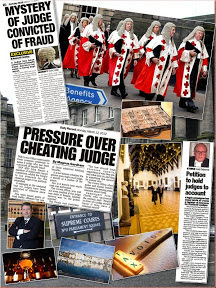 Where is Justice in Scotland today ? 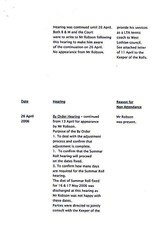 A report compiled four years ago by Andrew Cameron, chief constable of Central Police into Northern Constabulary's investigation into the death of 24 year old Kevin McLeod, and kept secret until now, reveals a disgraceful catalogue of errors on the part of Northern Constabulary which remain without explanation. Kevin Mcleod's family await not only an apology, but a proper investigation and accounting of what happened to their son. A SENIOR police officer has found colleagues guilty of "inexplicable" blunders in their investigation of a 24-year-old clubber's death. Kevin McLeod's grieving family are convinced three men battered him to death and dumped him in Wick Harbour. 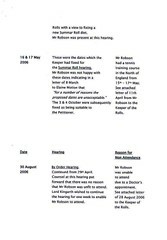 Now for the first time an official police report reveals damning evidence that Northern Constabulary were wrong to dismiss Keith's death as accidental. 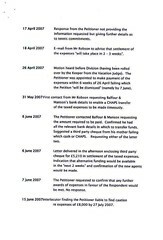 The report by Andrew Cameron, chief constable of Central Police, was kept under wraps for four years and only released after pressure from Kevin's family. 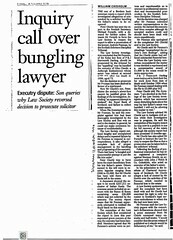 It slams Northern for not apologising to the family and calls for a shake-up in the way they investigate sudden deaths. 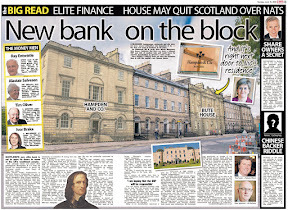 Failing to realise the significance of diamond-shaped marks on Kevin's body even after a procurator fiscal instructed them to treat the death as suspicious. Failing to keep the clothes worn by Kevin at the time of his death as evidence. Failing to photograph and record Kevin's injuries properly. Electrician Kevin, 24, was found dead in Wick harbour 10 years ago after a night out at the town's Waterfront Club. His father Hugh and mother June have battled to prove he was murdered and not the victim of a tragic accident as police insist. His spleen, liver and pancreas were ruptured and he lost so much blood he would have been unable to get up on his own. 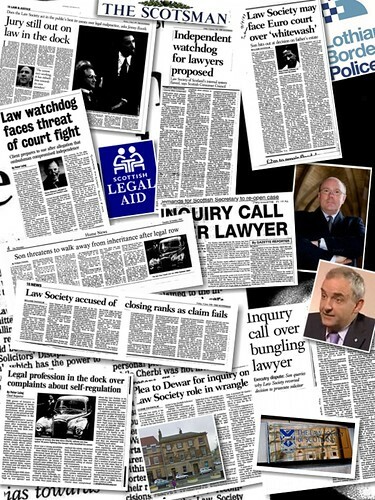 The Cameron inquiry calls for Northern to review management of suspicious deaths, training and staffing. 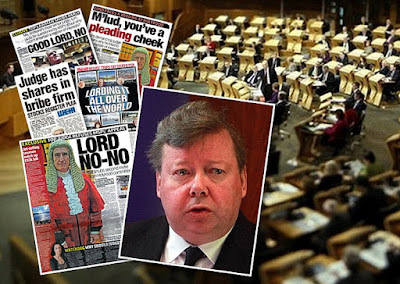 Cameron stated: "The failure of the force to seize, retain and submit for examination the clothing worn by KevinMcLeod remains inexplicable." He added: "The efficiency with which photographic evidence of injury was initially instructed and secured and subsequently assessed over a period of three years is open to question. 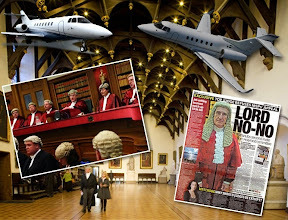 "It is this inquiry's view that had the existence and significance of the marks been properly recognised, the investigation may well have been directed differently. 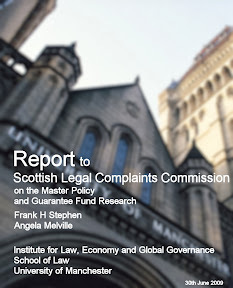 "It is the conclusion of this inquiry that the McLeod family are entitled to an apology from Northern Constabulary over the patent lack of communication of their complaints." 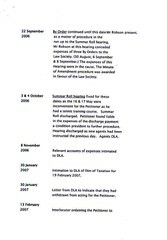 The Cameron report was completed in 2003 but only given to the family this year following a freedom of information request. 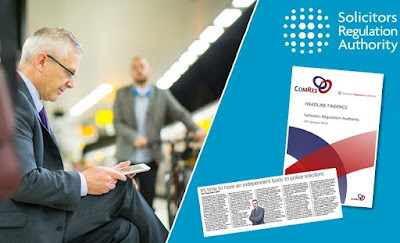 A second investigation into Northern's handling of the case by the new Police Complaints Comissioner Jim Martin is expected later this year. 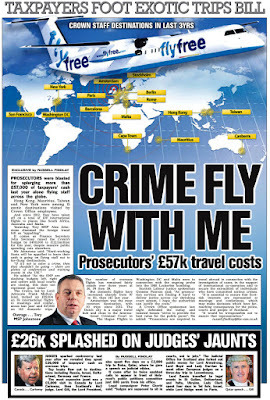 Kevin's uncle Allan McLeod, 49, said: "Even though the Cameron Report supports everything we've known for 10 years, we do not believe anyone will ever be brought to justice for killing Kevin. "We know the names of three men we believe were responsible for Kevin's death. "But we have not one shred of confidence that the police will ever do anything about it because they do not want to admit they are wrong. "We have not received any proper apology from the force." 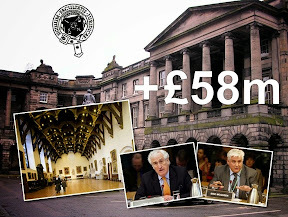 Northern Constabulary said: "As a result of this independent inquiry, all issues raised by the McLeod family have been dealt with. 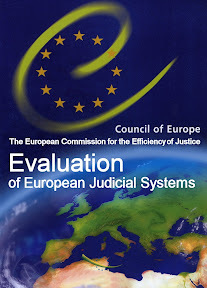 "Consideration was given to where improvements could be made and these have been implemented. 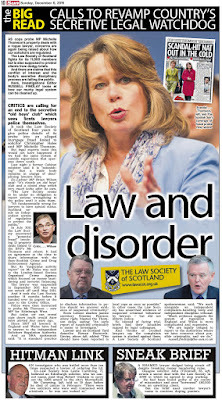 "The case has been subject to a great deal of scrutiny and the chief constable will not be reopening the inquiry." 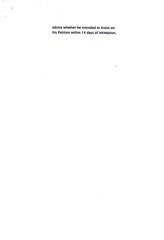 ONE man's verdict on whether Kevin was murdered is missing from the Cameron report. 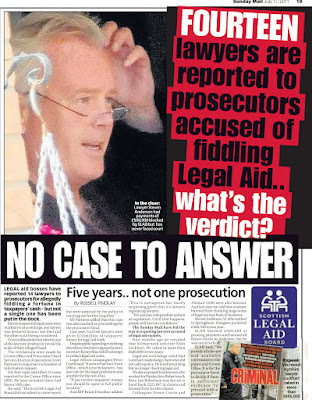 The victim's family believe Procurator Fiscal Alasdair MacDonald could be key to mounting a case - but he was not interviewed by Chief Constable Cameron. Kevin's uncle Allan McLeod said: "We're incensed that the very man who believed Kevin's death was suspicious was missed out of this report. 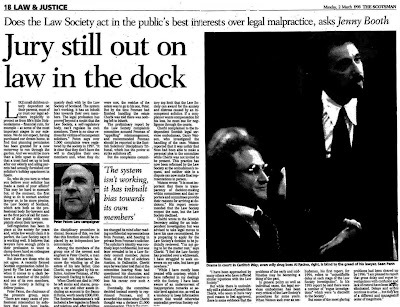 "He should have been the first person to be interviewed and the fact he wasn't can only raise our suspicions of a cover-up." Central Police said questions on the Cameron Report should be answered by the Northern Joint Police Board. But the Northern Joint Police Board insisted they were "unable to comment". 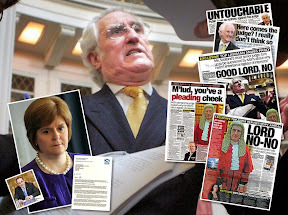 In the report, Cameron claims MacDonald was "unavailable" to be interviewed. But in a further twist MacDonald has written to the McLeod family saying he would have been happy to co-operate. 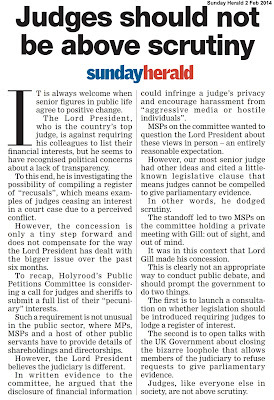 He wrote: "Whilst I have no wish to add to the controversy surrounding this matter, I fear I must. I cannot imagine upon what possible basis I could be described as unavailable for interview. "Despite researches, neither my office manager nor I have any recollection of any contact by the author of this report." 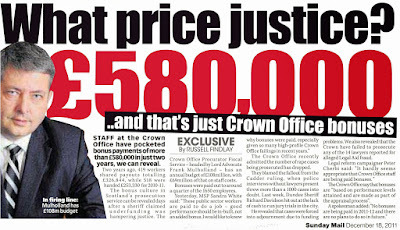 The Crown Office said they did not have "anything further to add" to MacDonald's comments. THE body of a Swedish woman who died in Scotland was sent home with her waist-length hair hacked off. Annie Borjesson's mum is convinced her hair was chopped by her killer. But the Crown Office have revealed it was cut by funeral staff who did not want the family to see it matted in mud and debris from the sea. Police say Annie, 30, drowned herself at Prestwick beach. But mum Guje, 54, who lives near Gothenburg with husband Karoly, said: "The funeral staff said they cut her hair but I don't believe they would have taken it like that. It was roughly hacked off. "It looked so bad I even considered getting a wig because I knew she would not want to be left like that. "My daughter had never cut her hair in her life." 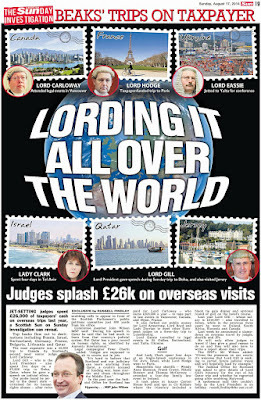 The Crown Office said: "It was cut while preparing the body for transfer." Pathologist Dr Alan J Cromie said: "The hair gets matted or dirty in drowning cases and funeral staff try to present the body as best they can for the family." Musician Annie came to Edinburgh two years ago and worked at the city's Scottish Whisky Heritage Centre. Her body was found on December 4, 2005. Her family didn't believe it was suicide and offered a £10,000 reward for information. 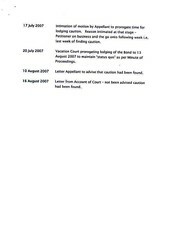 The Crown Office added: "There has been a full probe into the death. 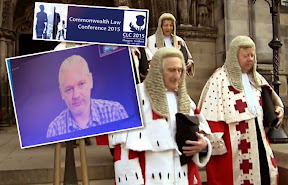 There is no evidence of a crime." 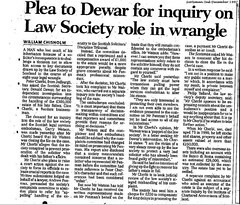 As many of you know, the Scotsman newspaper and others wrote many reports on developments in my case against crooked lawyer Andrew Penman of Stormonth Darling Solicitors, Kelso and crooked accountant Norman Howitt of the JRW Group in the Scottish Borders, the two so called 'professionals' who swindled the estate of my late father and got away with it. 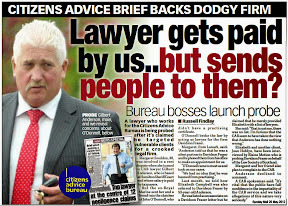 A separate action for compensation against Penman resulted in an offer of £15,000 from his solicitors. 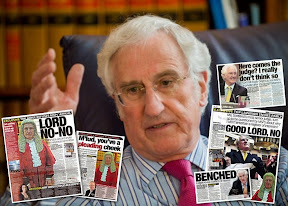 Cherbi said "That is no use because I have legal costs for fighting my case of £22,000 and the estate is £43,000 in debt.. 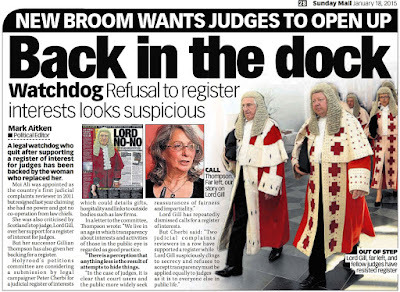 I am delighted that self-regulation is finally to be looked at. It's a liars' charter written by liars for liars. They sit on each other's committees and they are obsessed with protecting each other. 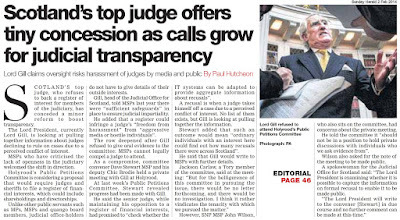 "There has to be independent regulation with public participation. 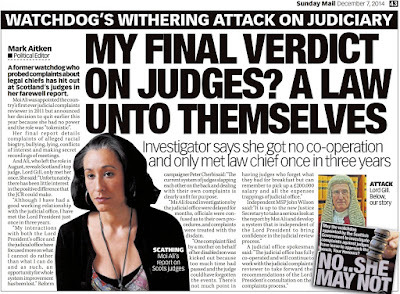 The victim must be able to get a fair hearing"